We have a lot to do on Saturday. We have film fests and tabletop games to play. Even, perhaps... see some gender bent burlesque Super Mario? This festival is filled with dramas and documentaries out of India showing the hard work of their industry. I like comedies, horror and action above all else and that's simply not on their menu this year. Remember to always pick a film the broad audience of LA can enjoy, IFF. We are very happy to host a launch party for the next in line of this amazing series of beers! Join us as we celebrate with:Collectable GoT Three-Eyed Raven goblet + 10oz fill of any Ommegang draft beer - $12 (while supplies last)"
One of the most charming events in LA. A night to explore the museum with boith critcial anyalsis with guest speakers and than rocking out to killer music. Peter Kareiva, Chief Scientist and Vice President of the Nature Conservancy, will be the guest speaker; White Fence and Cherry Glazerr will be performing in the North American Mammal Hall; and two KCRW favorites, Raul Campos and Anthony Valadez, will be in the DJ Lounge. Nerd Brigade, a group of diverse nerds, will be on hand to answer a wide array of your science questions. Yes, this should be right up my ally, it's burlesque and video games, that's some of the first content this site gave you. On top of that it's Mario and Luigi. I love the idea, the execution... is like an execution. Ladies act a strange scenario in the Mushroom Kingdom that won't fit the standards brought to us by Pokemon the Musical. I loved Pokemon the Musical. This show has been going on for years and maybe just for being "that" Mario fan I should go. Star Trek II: The Wrath of Kahn Midnight Screening! One of my favorite movies of all time, just because of that line and mind worms. I've seen it so much, seeing it again might make me feel like I have mind worms. They encourage cosplay, so dress up like a zombie Spock and other inappropriate ideas in memory of are fallen Vulcan friend. Live long and prosper! An art swap, bring an example of your creativity and swap it for someone else's! Will Wheaton (Star Trek, freaky) and the beloved by nerds Felicia Day will most likely be at the party, they don't go out of there way saying they are. Geek & Sundry studios will be open to the public on this day like some sort of Willy Wonka and the Chocolate Factory situation, replaced with board games. Promises of special prizes and celebrities stopping by don't sway me. A nice day out celebrating board games...not video games. 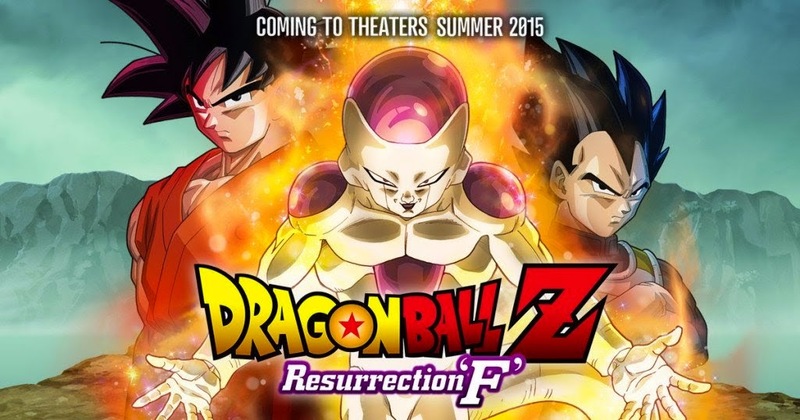 The world premiere of the newest DBZ film, featuring the resurrection of too-many-transformations Frieza. For the DBZ fan...this is one of the most ultimate experience you could ponder! Sold out the day tickets went on sale, the event will be nothing short of amazing as only the anime Magica Madoka has had the special treatment at the Egyptian that DBZ is going to get. A special red carpet event hosted by Toei Animation and Funimation precedes the event. Run Hollywood while dressed as your favorite movie star for a meta joke so preposterous on the stardom in this city that... eh, just run for fun while dressed as Marilyn Monroe or Vin Diesel. -Meltdown Edition Mystery Crates! 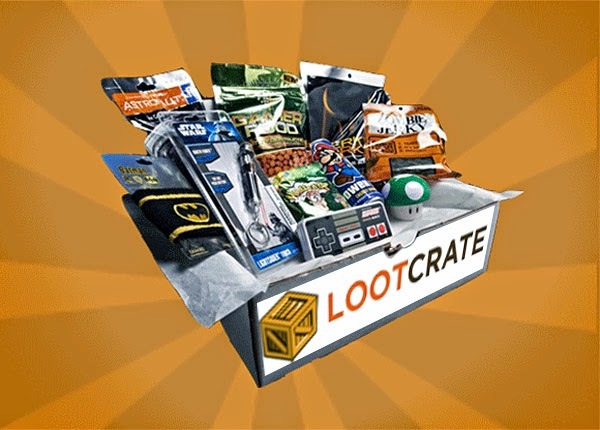 : Limited quantities available featuring a mystery selection of items from past Loot Crates; $20 per crate. -The first 100 Looters who arrive wearing the Agents of SHIELD Exclusive Lanyard from March’s Loot Crate will receive a Mystery Crate FREE! -Looter Trading Post: Bring down your Loot from past and present crates to trade items with fellow Looters! -D&D Gaming Tables: Come down and play Dungeons & Dragons, if you’re a gaming fan and Looter! -Photo Booth: Get your picture popping out of a Loot Crate! Now YOU’RE the Loot! -Food Trucks: Grab some awesome grub from some rad local food trucks. -Loot Crate Bus: See our iconic wheels on display in front of Meltdown and take a look inside! 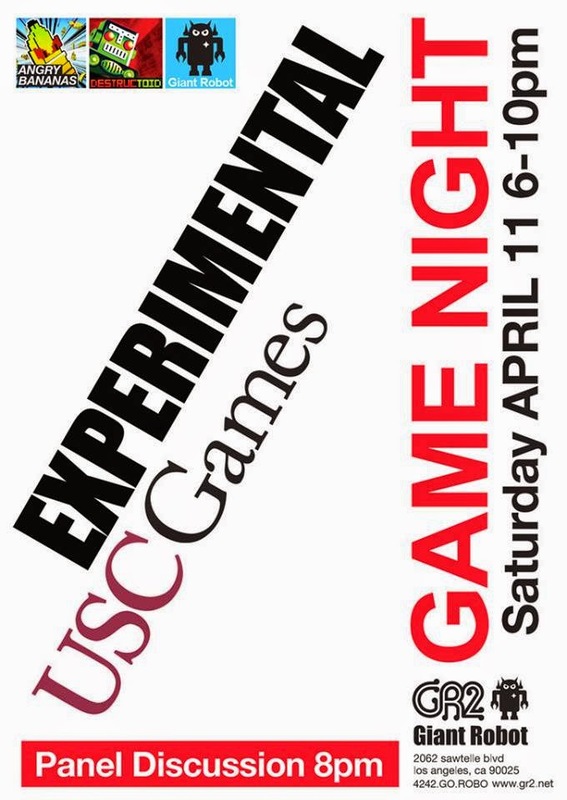 "Join us & USC Games for TEN Experimental Games that'll be played throughout the evening. In a highly anticipated evening featuring some of the most innovative games using the latest technologies, we'll also feature a panel discussion with the developers moderated by USC Professor Richard Lemarchand." Join Comic Vs Toys for awesome giveaways, food and drinks, cosplay and other Deadpool-esque stuff! A small Japanese Cultural Festival with some planned activities. A special act to hear and watch as water bowls and illuminated lights makes the performance even more alive. Co-creators Dan Harmon and Justin Roiland signing...with their blood? No, just signing.